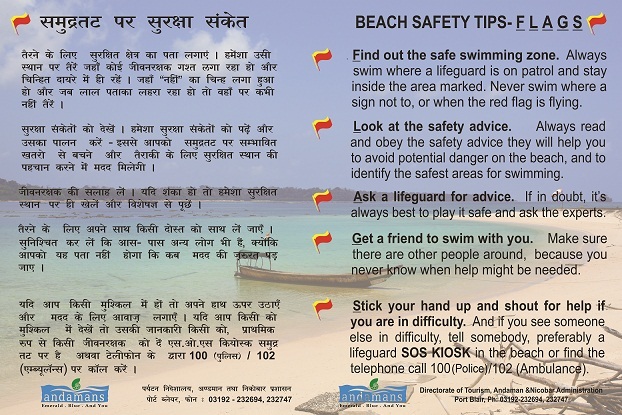 The Tourist Safety Enforcement Team (TSET) has been constituted at important Tourist locations for ensuring the safety of tourists especially in activities related to boat rides of Rajeev Gandhi Water Sports Complex (RGWSC), at Port Blair, North bay, Wandoor, Bharatpur Beach, Neil Island, Havelock Jetty , Baratang jetty. 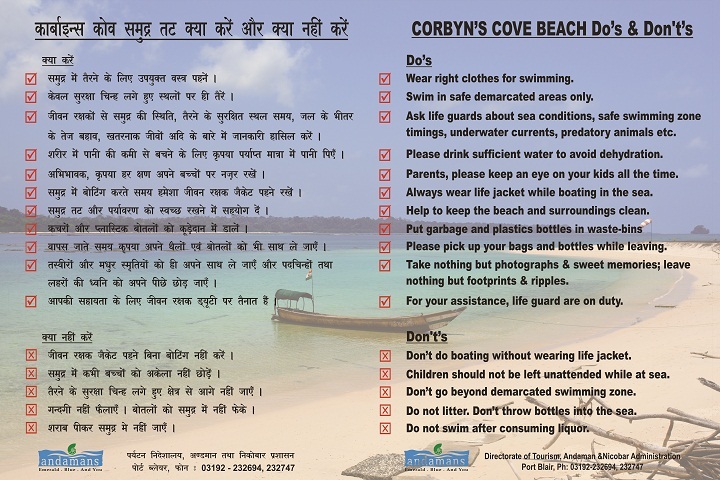 For the safety of tourists, life Guards have been deployed at Rajeev Gandhi Water Sports Complex (RGWSC) at Port Blair, Ross Island, Corbyn's Cove, Chidiyatapu, Wandoor, Baratang, Havelock, Neil, Diglipur and Hutbay. SOS Kiosk (Emergency Assistance Booth) has been set up at Rajeev Gandhi water Sports Complex, Port Blair, Corbyn's Cove, Havelock, Neil and Baratang, for information and guidance. Always wear life jacket before boarding the Boat.